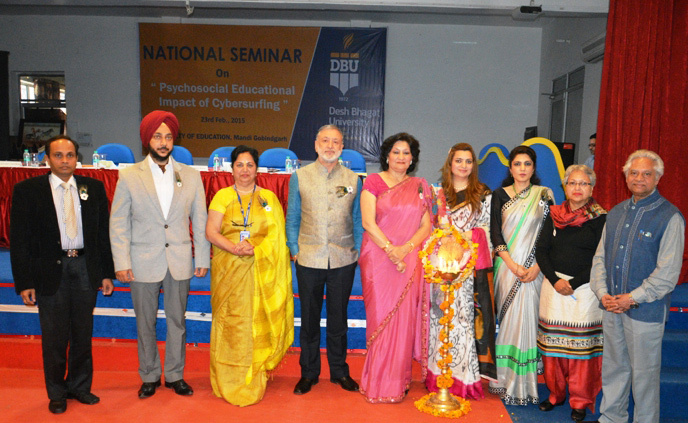 Desh Bhagat University Faculty of Education organised a National Seminar on 'Psycho-Social Educational Impact of Cyber-Surfing’. Eminent Educationists, Scholars, Policymakers and Teachers from different parts of the country took part in it. 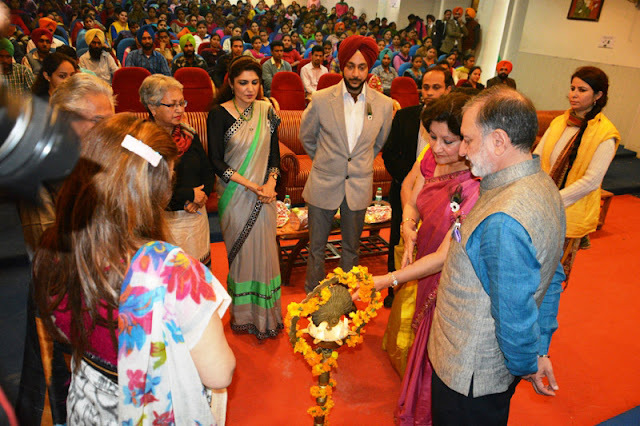 University Chancellor Dr. Zora Singh and Pro Chancellor Tejinder Kaur lit the ceremonial lamp and inaugurated the seminar. Speaking on the occasion, Dr. Singh said that there is a great need to understand that internet is an important tool to communicate and share information but nowadays more than 60 % internet users are misusing it directly or indirectly. He urged the youth and others to take it seriously and do rightful use of internet in this fast moving era so that they can develop their capabilities and become time relevent. 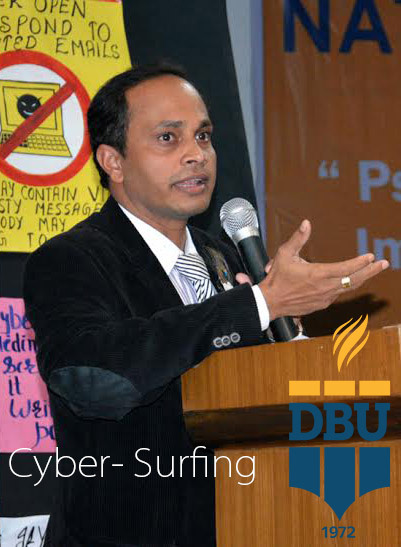 Welcoming all the guests and delegates Dr. Surjeet Patheja (Director, Faculty of Education) emphasized the need for sensitizing the society to get rid of the cyber crimes and other related problems. Well-known Psychiatrist, Dr. Sushanta Kumar Padhyeye(Astt. Professor, PGI, Chandigarh) while sharing his views informed that studies have proved that continuous use of internet and social sites are making human beings mentally and physically sick. Most of the health problems like Depression, Impulsivity, Low Temper, Phobia and other behavioural disorders result from it and these prove very harmful for the society. Dr. Nancy (Health Expert, PGI, Chandigarh) informed that most of the patients she is dealing with suffer from ailments caused by lack of proper diet and abnormal social behaviour, the main reason for which is uninterrupted internet use. Dr. Damanjeet Kaur from department of Psychology, Punjabi University, Patiala was the key-note speaker, who emphasized that we should not become slaves of internet or any other invention of science. Rather, we should use them in such a way that they made no evil effect on our social, economic and emotional life. Pro Vice-Chancellor Dr. Shantnu Chatterjee said that our education system must change with changing times. She exhorted the parents to take all precautions and keep a watchful eye on their children so that they do not misuse internet. said that we should develop an environment in our education institutions that makes our students not only time and market relevant but also society relevant. 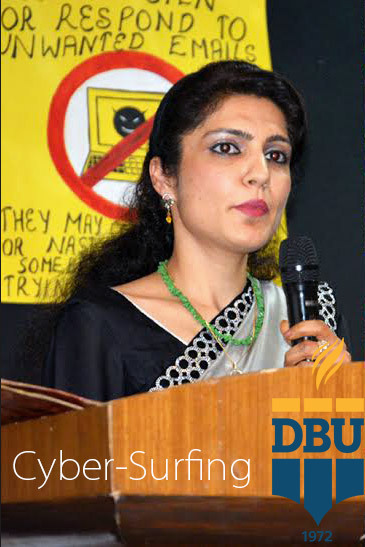 Dr. (Mrs.) Santosh Singh (Social Activist) and Mr. Manpreet Singh (Legal Head, ICICI Bank) also shared their views. During the seminar, more than 32 oral and poster presentations were made by research scholars, teachers and students hailing from different parts of the country. A colourful cultural programme was also arranged on this occasion in which students performed excellently. At the end of the seminar, Pro Chancellor, Tejinder Kaur thanked all the guests and expressed pleasure at the overwhelming response to the seminar and hoped that it will prove quite useful for the students, faculty members and policymakers. 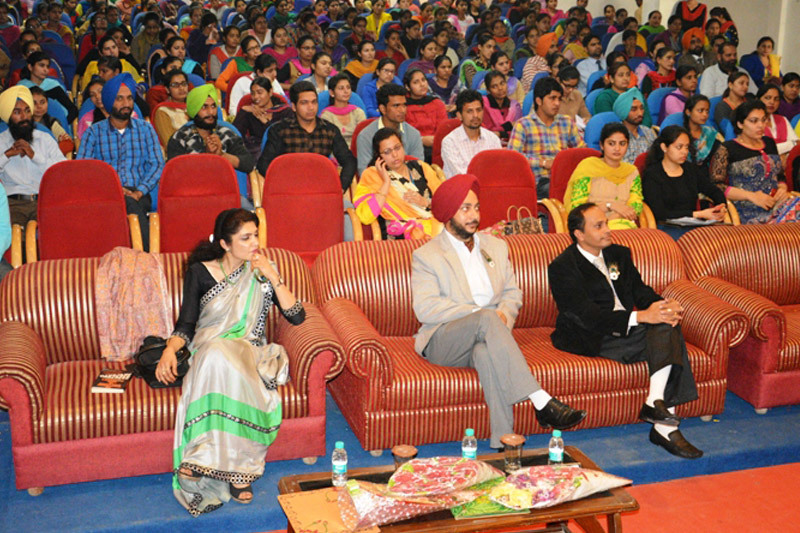 Registrar Dr. Virinder Singh, Director (Academics) Dr. Rajesh Goyal, faculty members and students from different faculties were also present on the occasion.